If the handmade paper had a heavenly sanctuary, it would be at Chimanlal’s in Fort. 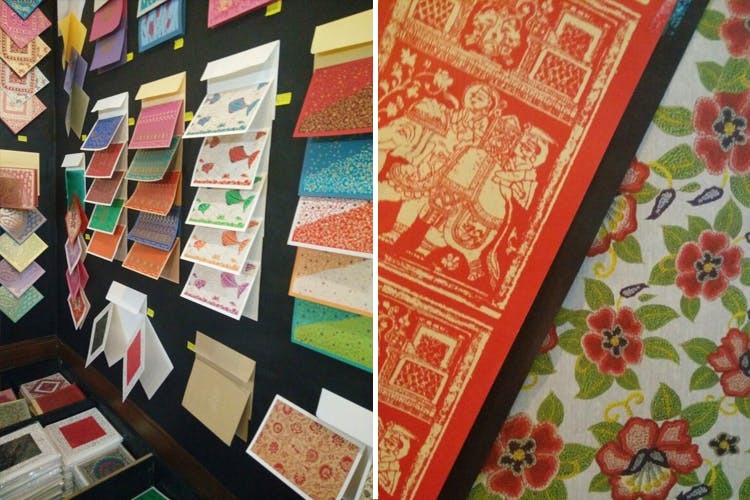 Chimanlal’s is a handmade paper shop which has been holding fort in South Bombay since the 1950’s. They are patrons of paper, masters of maché and sell the most beautiful handmade paper around town. In fact, that is all you will find in their spaciously spread out store. Handmade paper gorgeously turned into different forms. There’s a whole section for DIY boxes of all shapes, sizes and prints, gift bags and tags, little notebooks and diaries. The full-sized sheets of handmade paper are for INR 45 each and would give any present a facelift, or you could cut them into smaller sheets and use the back of it to write letters. Fill up your basket, bring on the nostalgia and take home lots of stationery to make your desk look pretty.